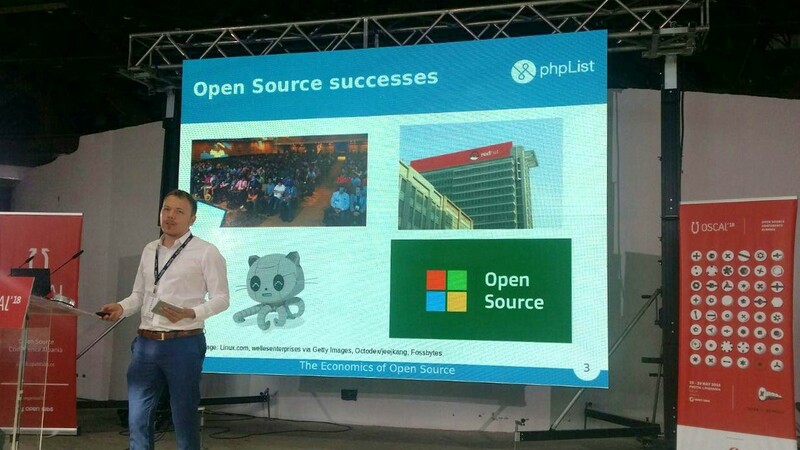 This year’s Open Source Conference Albania (OSCAL) took place on the sunny weekend of 19th May, and phpList was well represented. As well as a vibrant booth, phpList was the Diversity Sponsor, supporting talks and workshops supporting inclusivity. phpList representatives had two talks and one workshop. 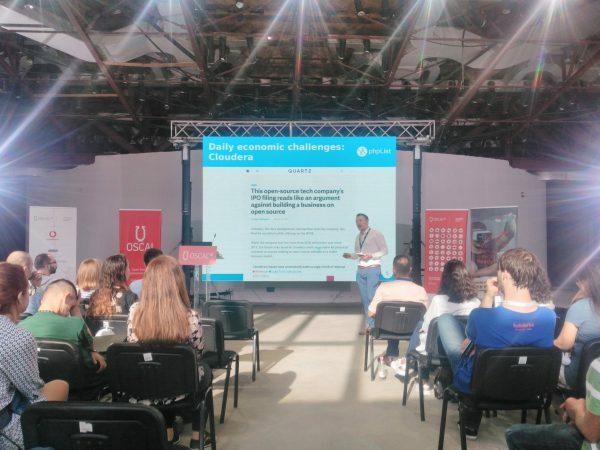 During this conference participants once again had the chance to meet a few of the most successful Open Source entrepreneurs and supporters from the region. On the first day, our booth was located at a strategic location: at the entrance of the Piramida (Pyramid) – one of the city’s most famous landmarks, and part of this year’s conference venue. 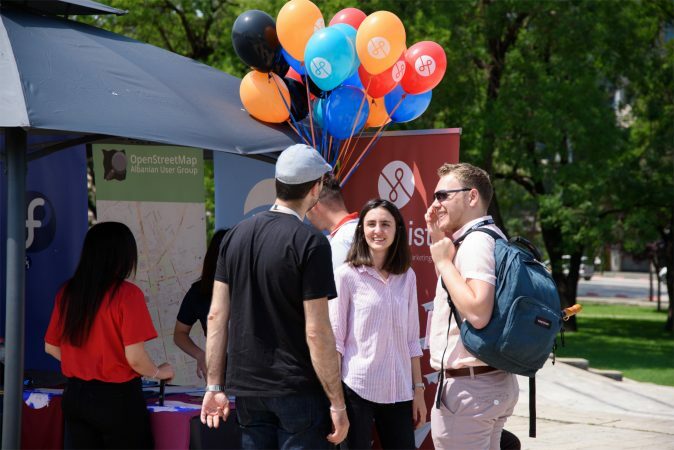 Most people stopped at our booth – phpList flying balloons and t-shirts attracted attention from passers-by. 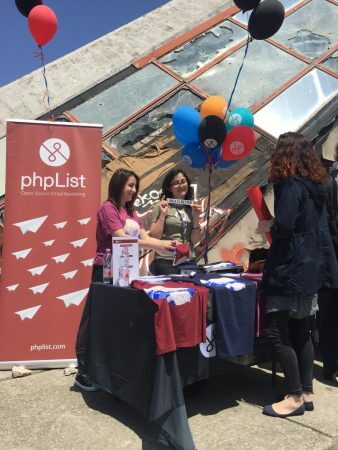 Some of the participants were familiar with phpList while others were interested in listening to how the platform worked or how its use benefits their business. Several of them signed up to receive the phpList Hosted newsletter. On the second day conference attendees took the opportunity to try out sending email campaigns using phpList’s Open Source powers, trying out prepared demos on a tablet computer at the booth. We surveyed the users afterwards using QR codes to direct them to a copy of Lime Survey which was waiting for their feedback. As my first time attending an Open Source conference, I can say that it was one of the best experiences I have had, and it increased my interest in the Open Source projects. Hopefully, the other participants had the same feeling as me, and next year we’ll meet more phpList-lovers.